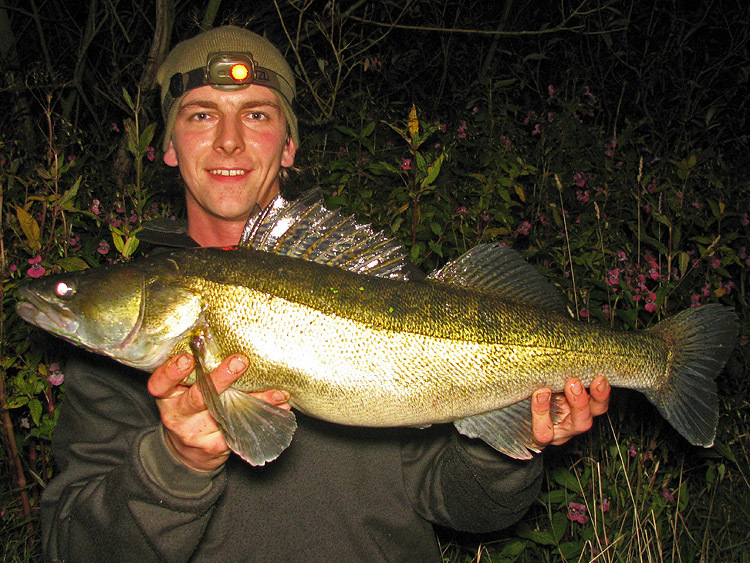 Well, after my last post virtually declaring September as a "lost month" as far as my fishing results were concerned, a good fish comes along and gives me a slightly more rose-tinted view of September 2010 after all! I travelled a little farther afield than usual and endured a gruelling day fishing for perch, with very disappointing results. The weather was overcast all day, the river was fairly clear and to be honest, I considered the conditions to be perfect for perch fishing. However, the closest I came to catching a big perch was a missed take on a spinner early on, which felt like a perch and also felt heavy. Then an hour later I was lure fishing in a shallow, gravelly run when I got an amazing follow. The bow-wave created was huge! It zig-zagged behind my lure and took one final swipe, but missed. 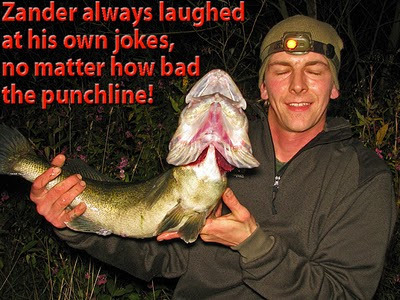 I'm pretty sure I saw the mouth of a perch as it made that final grab and I'm also sure that a pike would have had the small lure well down its throat long before that anyway! After a few hours of throwing lures around and failing to catch even a micro-perch, I settled on a peg to bait fish. Several hours passed and the best perch I had was around 4oz, on maggot; the best fish I had was a chub of around a pound, on lobworm. It's by no means the largest zander in the world, but it's my biggest for a few seasons and as you'll see by reading my article "My Love Affair with Zander", I'm quite attached to the species, despite living a good 2 hours drive from most of the best zander fishing in the Country and blanking on far more sessions than I catch on. So, this fish is very, very welcome and has made me a happy man. 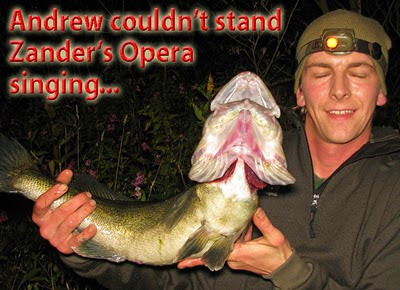 ﻿Plus, this photo really got me thinking about just how big the mouth of a zander gets when it flares its gills. I tend to use small baits when zander fishing, but its mouth was twice the size of mine! Nice way to end September Andrew. Lets hope the rain lets up for a bit and October is more productive. I think the rain has breathed a bit of well-needed life into the rivers, then after a week or so of perfect fishing conditions the downpours are back and this time they're wintry! This is sure to knock species like barbel off the feed, but will hopefully encourage the bait fish to shoal up ready for winter. It should also put off most of the less hardy anglers, leaving more bank space and fish for the rest of us!